It’s been seven years since Kira Shanks was reported missing and presumed dead. 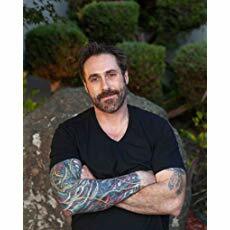 Alex Salerno has been living in New York City, piecemealing paychecks to earn a livable wage, trying to forget those three days locked underground and her affair with Sean Riley, the married detective who rescued her. When Noah Lee, hometown reporter with a journalistic pedigree, requests an interview, Alex returns to Reine and Riley, reopening old wounds. What begins as a Q&A for a newspaper article soon turns into an opportunity for money, closure and—justice. The disappearance of Kira Shanks has long been hung on Benny Brudzienski, a hulking man-child who is currently a brain-addled guest at the Galloway State Mental Hospital. But after Alex reconnects with ex-classmates and frenemies, doubts are cast on that guilt. Alex is drawn into a dangerous game of show and tell in an insular town where everyone has a secret to hide. And as more details emerge about the night Kira Shanks went missing, Alex discovers there are some willing to kill to protect the horrific truth. “Joe Clifford is a gifted storyteller with a knack for crafting characters who are entirely human. 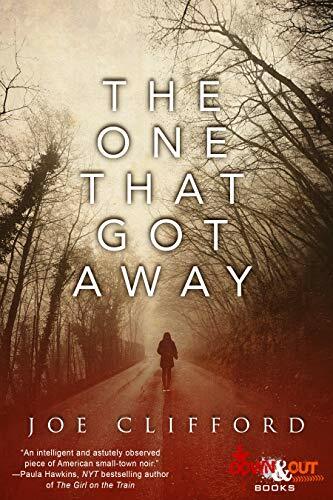 The One That Got Away is dark and unforgiving, a chilling crime novel with the perfect touch of tenderness that will keep readers turning the pages with haste. This is one book you won’t be able to put down. Idlewild Motel, what really took place on that cold November morning seven years ago the one that got away must uncover, almost as a therapy to her own terrible days past. There is Kira, missing, still no body. The main protagonist Alex Salerno, the one that got away from being snatched and imprisoned against her will. That time left behind many things, scars, faint scars on the undersides of her forearm and wrist, and tender things, vulnerable things. One that got away needs to stay safe treading on familiar dark passage of time again battling all that went on and a little town she wished never existed, bad times, bad mums, bad peoples, finding truth on one suspect that seems to be in a corner. The first person narration of Benny was engrossing, with his complexities and point of view of what had partaken in Kira’s days alive. There’s a rhythm to his writing, I like the cast of characters he used in this and previously read Broken Ground. At odds, truths uncovered, and rising above things, grit, flawed, his themes give revitalising lift to mystery telling.